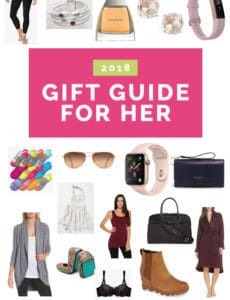 If someone you are buying for loves to splurge on beauty products, this gift guide will provide a bevy of ideas, with everything from makeup to hair, and stocking stuffers to big ticket items. It’s December! Actually, it’s hard to believe that it’s ONLY December 3rd… with Thanksgiving coming as early as possible, we had a lot of buffer time between turkey day and the start of December. We got our house decorated, but I haven’t done much shopping yet… I plan to start this week! 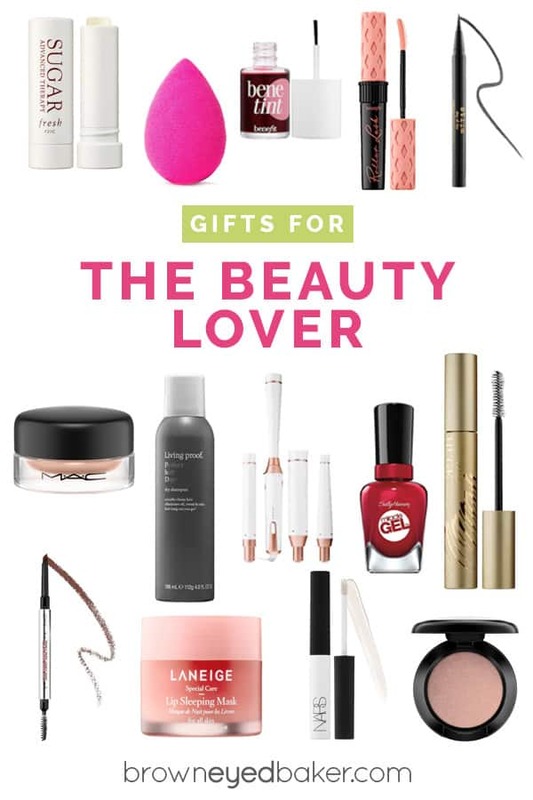 Continuing on with the gift guides, today I’m bringing one full of recommendations for beauty items! The vast majority of these items I use every single day and have been using for years, so they are products that I whole heartedly endorse and love. If you need an idea for your mom, sister, friend or daughter, I hope these will give you some inspiration! Fresh Sugar Lip Treatment – This is my go-to lip balm, I have one in my purse, in the bathroom, and in a drawer in the kitchen at all times. It’s pricey for “just” lip balm, but SO worth it! Beauty Blender – I don’t wear foundation often, but when I do, I never use a brush! I’ve sworn by these Beauty Blenders for years now – the coverage goes on so even and dewy, not at all caked on or splotchy. LOVE these little gems. Benetint Cheek & Lip Stain – I originally bought this before I had Isabelle to throw in my hospital bag that would be an easy way to freshen up. In the eight months since I bought it, it’s become an everyday staple for me. Most days the only things I put on are a tinted moisturizer, this cheek tint, MAC paint pot (included below) and the Stila extreme lash mascara (also below). Benefit Roller Lash Mascara – This has been a long-time favorite and is a wonderful mascara for really well-defined lashes. When I use it, I like to layer two or three coats on! Stila Stay All Day Waterproof Liquid Eye Liner – The only eye liner I use! I found this a few years ago and have never used another one since; the applicator is absolute perfection so it goes on totally smooth and as thin or as thick as you’d like. MAC Pro Longwear Paint Pot – I use this in the Painterly shade as an everyday staple – I usually wear it alone, as a way to even out the coloring on my eye lids. If I am wearing more makeup, including eye shadow, I always put this on first as a base. Living Proof Perfect Hair Day Dry Shampoo – The BEST dry shampoo I’ve ever used, and I have gone through SO MANY different ones! End of story. T3 Curling Wand Set – This is the one splurge item on this list. I don’t own this set, but I’ve been thinking about getting a curling wand for a few years now since I hate using a curling iron and I love all of the different interchangeable wands here! Sally Hansen Miracle Gel Nail Polish – I started using this a couple of years ago, and when used with the top coat, the color lasts on my nails for nearly two weeks, which is astounding for an at-home “manicure”. My regular grocery store carries these, as does Target and Ulta! Stila Huge Extreme Lash Mascara – I love wearing this when the rest of my makeup is pretty nonexistent or very minimal (i.e. tinted moisturizer and cheek tint). It really amps up my eyelashes and makes them look dramatic, but not totally overboard for just everyday mom-ing and errand running. Goof Proof Brow Pencil – This is also the last piece of my everyday routine. I have pretty thin eyebrows, so they need to be filled in a bit so as not to totally disappear from view! LANEIGE Lip Sleeping Mask – This was a little bit of a splurge purchase right around the time Isabelle was born – all you do is put it on before you go to sleep and, like magic, you have super soft lips when you wake up. NARS Smudge Proof Eyeshadow Base – When I do a fuller face of makeup and wear eye shadow, I always use this primer base to keep the shadows from creasing or smudging. It works wonderfully and my eye makeup looks exactly the same when I get ready for bed as it did when I put it on. MAC Eyeshadow – I’ve purchased so many different palettes and single pots from a variety of very popular brands, but none come close to the quality of a MAC eyeshadow, as far as I’m concerned. They are super pigmented, they don’t flake when you put them on, and they apply wonderfully. Thank you for the recommendations. Do you have a good cleanser? My favorite sunblock is Obagi Medical sun shield spf 50. Hi Annie, I actually started using Rodan & Fields a few months ago and I am IN LOVE with it. 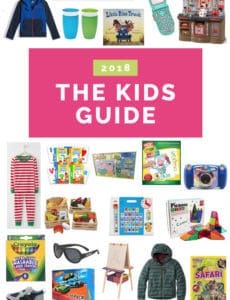 I plan on talking about it in my January Favorites! Dr.Dennis Gross alpha beta daily peel pads.Since this is a daily peel it is extremely gentle. Skin is radiant and texture is smoothed. This product has greatly improved myskin. 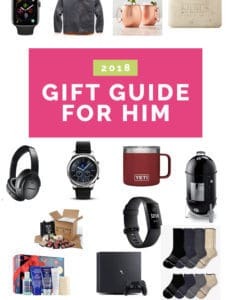 I’m finding the gift guides useful, but not in the expected way. I’m finding things I want, not that I would buy for others!